To mark the occasion of International Women’s Day all women crew would fly to Sri Lanka on Air India flight to and from Colombo on 8 March. This unique gesture in Sri Lanka is being appreciated world-wide. Air India, the iconic airline of India is operating an ALL WOMEN CREW flight on Thursday, 8 March from Chennai to Colombo and then from Colombo to New Delhi. 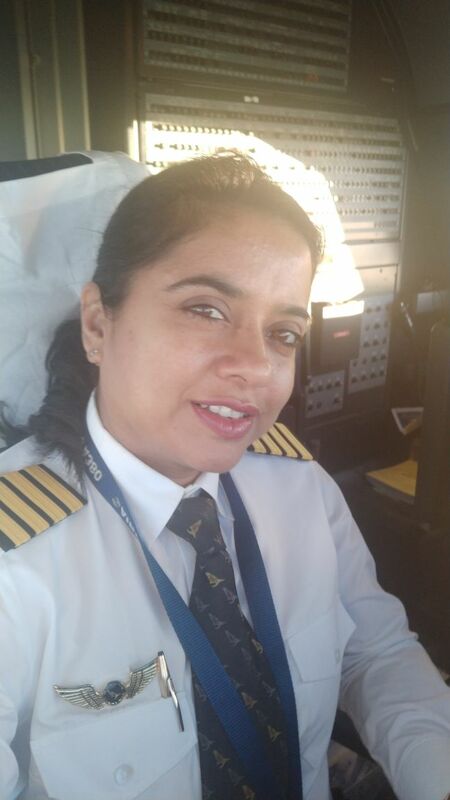 Capt V Roopa and Capt Nimisha Goel will be operating the flight. Air India’s Sri Lanka office is separately commemorating International Women’s Day at Air India office at Bristol Street in Colombo. Leading Ladies from Travel and hospitality field will be hosted at a special function. Coincidentally, Air India at Srilanka represented by women, in all key positions – Mrs Alice Joe Paul, Country Manager for Sri Lanka, Mrs Madhumita Gupta, Airport Manager and Mrs Thanuja Lankathilaka, the GM of Indusky Aviation, the Passenger GSA for Air India at Sri Lanka.